All information provided is deemed reliable but is not guaranteed and should be independently verified. The advertisements herein are merely indications to bid and are not offers to sell which may be accepted. All properties are subject to prior sale or withdrawal. All rights are reserved by copyright. Property locations as displayed on any map are best approximations only and exact locations should be independently verified. By submitting personal information such as name, address, phone number, email address and/or additional data, the real estate client/prospect consents that The Miller Realty Group, LLC or its authorized representative may contact client/prospect by phone, U.S. Postal System, or e-mail whether or not client/prospect is participating in a state, federal or other “do not contact” program of any type. The Miller Realty Group, LLC recognizes the importance of protecting the privacy of certain information (“Information”) collected about our customers and prospective customers (referred to as “Customers,” “you” or “your”). This privacy statement discloses what information we gather, how we use it, and how to correct or change it. It is our intention to give you an understanding about how we collect your Information and the use we make of it in the course of our business. Optional registration – We collect information by specifically requesting it from you. Generally this occurs when you register at a site or request information or a service. Usually, we use your information to operate the site and to deliver services. We also use your information to inform you about other products or services available. With whom do we share my Information? As a general rule we will not disclose any specific personal information that you submit to us about you (“Personal Information”) in a manner that connects you with the Personal Information, except when we have your permission or under special circumstances, such as when we believe in good faith that the law requires it. In case you change your mind or some Personal Information changes (such as your zip code or e-mail address), we will try to provide a way to correct, update or remove the Personal Information that you give us. We also give you the opportunity to control the communications we direct to you. We offer Customers the opportunity to “opt out” of having Personal Information shared. 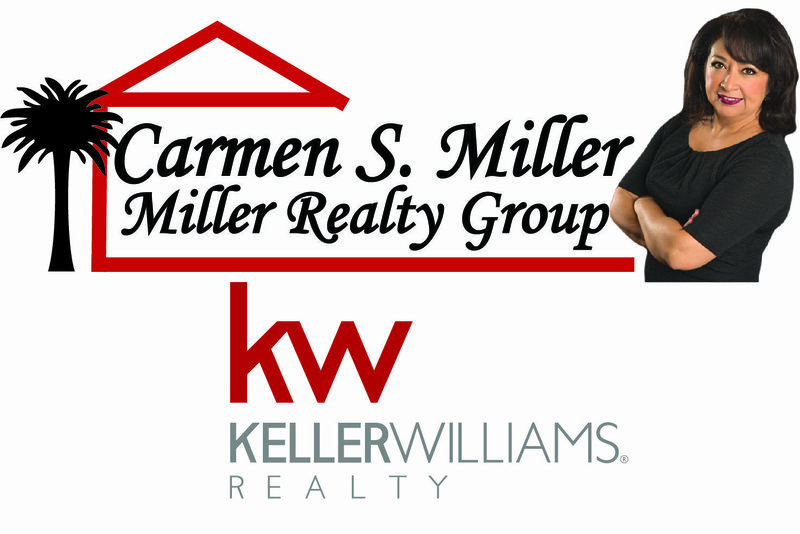 If a Customer wishes to update Personal Information or objects to any usage provided herein for any reason, he/she may e-mail the requested change to: info@carmensmiller.com. You should be aware that when you are on our site you could hyperlink or be directed to other sites that are beyond our control and/or outside our service. For example, if you “click” on a link, the “click” may transfer you off the our websites. These other sites may send their own cookies to Customers, collect data, or solicit Information. The Miller Realty Group, LLC does not control such sites, and, therefore,is not responsible for their contents or the hyperlinks or advertising they choose to place on such sites. Our inclusion of hyperlinks to these sites do not imply any endorsement of the material on such sites or any association with their operators. Our policy does not extend to anything that is inherent in the operation of the Internet, which is beyond our control. Please keep in mind that whenever you give out information online (for example, via message boards or chat) that information can be collected and used by people you don’t know. While we strive to protect their Customers’ information and privacy, we cannot guarantee the security of any information you disclose online, and you disclose such information at your own risk. Is my Information secure from others using your site? The importance of security of all information associated with our Customers is an important concern to us. We exercise care in providing secure transmission of your information from your computer to our servers. Unfortunately, no data transmission over the Internet can be guaranteed to be 100% secure. As a result, while we strive to protect your information, we can’t ensure or warrant the security of any information you transmit to us or from our online products or services, and you do so at your own risk. Once we receive your transmission, we use industry standard efforts to safeguard the confidentiality of your information, such as firewalls and Secure Socket Layers. However, “perfect security” does not exist on the Internet.